Book one of our Seminole hotel rooms & suites today to enjoy a comfortable night’s sleep close to the area’s best attractions. 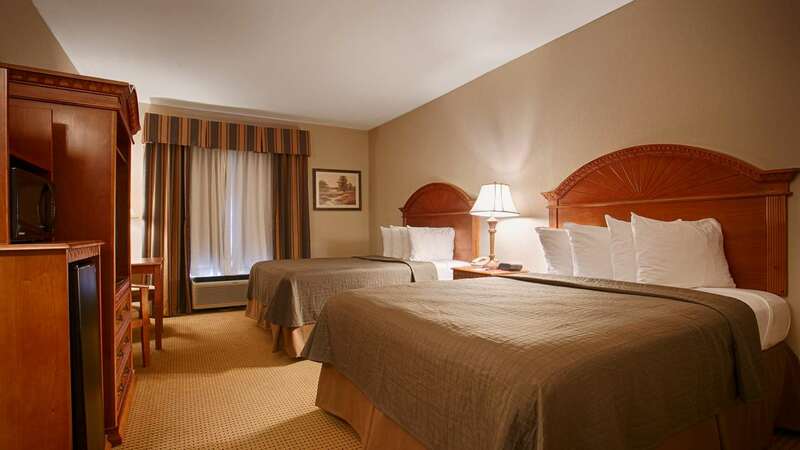 Guests booking one of our Seminole hotel rooms for a work trip can enjoy a stay in our 1 King Bed Room, equipped with all the comforts you may need to enjoy a relaxing evening. Groups and families will appreciate our 2 Queen Bed Rooms, while couples looking for a romantic getaway can enjoy a weekend in our 1 King Bed Room with a Jacuzzi. Our guest rooms are also mobile accessible, with mobility features in the bathroom, clear floor space, and wide doorways. Our telephones, fire alarms, and smoke alarms all have visual alerts. 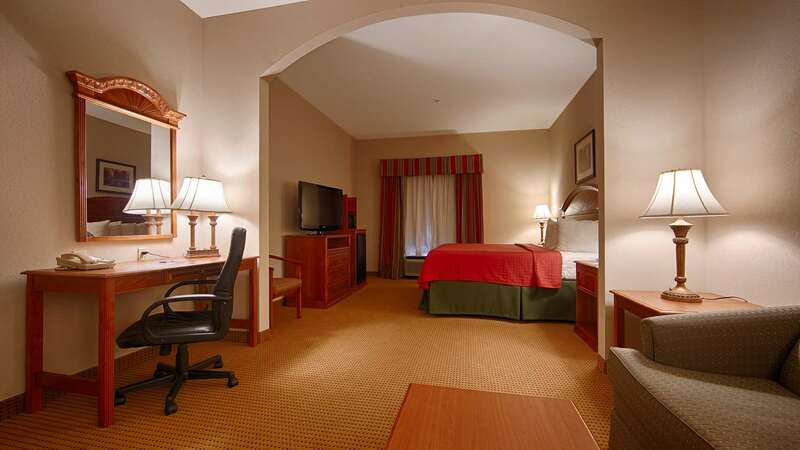 Book your stay in one of our Seminole hotel rooms today! Relax and unwind in our comfortable King Guest room. Enjoy an indulgent night’s sleep in a super comfortable bed with premium linens. Stay connected with high-speed Internet access and ample workspace. This room also boasts a microwave and refrigerator for your convenience. The 2 Queen Guest room has space for up to four guests, with large rooms and two comfortable queen mattresses. Enjoy an indulgent night’s sleep in a super-comfortable bed with premium linens. Stay connected with high-speed Internet access and ample workspace. This room also boasts a microwave and refrigerator for your convenience. Indulge in something special with our King Suite! Settle in for a peaceful night’s sleep on a super-comfortable king mattress. Watch satellite TV on your suite’s large flat-screen TV, connect to our high-speed Wi-Fi, and get some work done at the desk. 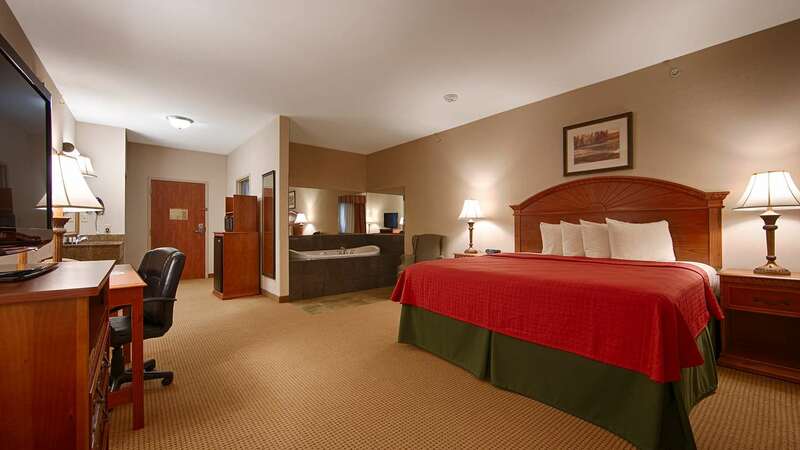 Relax and unwind in our comfortable King Guest room with a jacuzzi! Enjoy an indulgent night’s sleep in a super comfortable bed with premium linens. Stay connected with high-speed Internet access and ample workspace. This room also boasts a microwave and refrigerator for your convenience.